A new Pantex Administrative Support Complex is to be built. 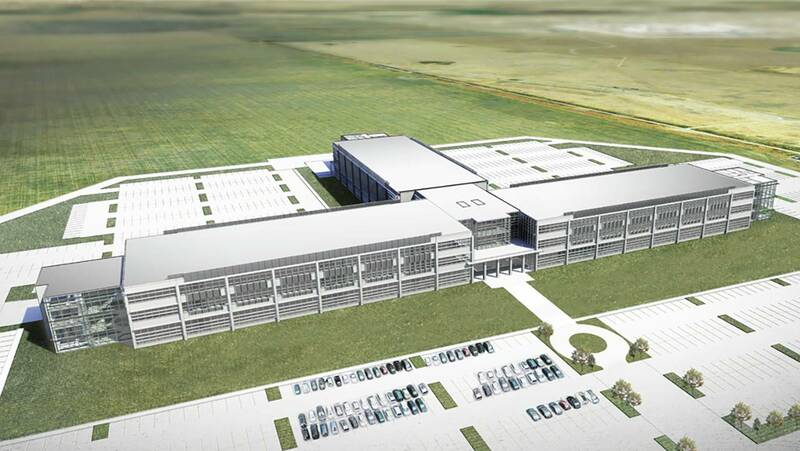 The operator of Amarillo’s Pantex Plant received approval today for a new 343,000-square-foot structure capable of providing office space for as many as 1,100 employees who would be relocated from other aging buildings onsite. The National Nuclear Security Administration gave approval for Consolidated Nuclear Security, the limited liability company operating Pantex, to begin negotiating a lease for the new Pantex Administrative Support Complex with developer Lawler-Wood, the company that will build the structure, according to a news release. Construction could begin by August, the release said. The new facility would be built near the intersection of Farm-to-Market Road 2373 and Highway 60. Details on the cost will be available once bonds are issued and a lease is signed, likely in August 2016, spokesman Jason Bohne said. The Pantex Plant 17 miles east of Amarillo is the nation’s only nuclear weapons assembly and disassembly facility. Employees would be moved from “numerous aging facilities that are costly to operate and do not meet modern standards,” the release said. The structure would provide office space for nearly one-third of Pantex employees and would also be equipped with a conference center, cafeteria, visitors center, and medical and employee health and fitness facilities. The decision came after more than 16 months of planning. CNS and Lawler-Wood now will begin working to finalize project details, the release said.